Next Awareness Night meeting: Wed. Mar. 27,2019, 7:30 p.m. to 9:30 p.m., featuring Justin Lorentz. 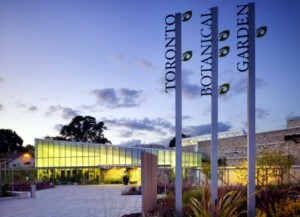 The Awareness Night Meetings are held at the Toronto Botanical Garden (Floral Hall), 777 Lawrence Avenue East at Leslie Street, southeast corner. (View Map) On these occasions, leading medical professionals speak on a range of topics related to prostate cancer and then, following a refreshment break, answer your questions. Family members and friends are welcome to attend. If you are on our mailing list, a notice of each event will be sent to you. Parking is FREE! 2018 Mar 28 Dr. Andrew Loblaw (Sunnybrook Health Science Centre)(View Video) How clinical trials have changed prostate cancer care. 2017 July 26 Dr. Nathan Perlis (Princess Margaret Cancer Centre) (View Video) Partial gland ablation for localized prostate cancer: Who is eligible and what are the risks? Mark Cullen, Gardening expert and prostate cancer survivor. Dr. Ryan Groll, Mark Cullen’s surgeon. 2016 March 30 Justin Lorentz, MSc and Dr. Danny Vesprini (Sunnybrook Health Science Centre) (View Video) Genetically Predisposed: Who is at Increased Risk of Developing Prostate Cancer? 2016 Jan 27 Dr. Shabbir Alibhai (Princess Margaret Cancer Centre)(View Video) Understanding, preventing and managing side effects of hormone therapy. 2013 July 31 Dr. Rob Hamilton (Princess Margaret Cancer Centre) (View Video) Hormones, hormone therapy, and prostate cancer. 2012 May 30 Dr. Rajiv Kumar Singal (Toronto East General Hospital)(View Video) Prostate Cancer Diagnostics: the past, present and future – and the PSA controversy. 2012 Mar 28 Eileen Fauster & Morwenna Given (View Video) Holistic and Herbal: two approaches to diet, nutrition, and the treatment of prostate cancer. 2012 Jan 25 Dr. Tony Finelli (Princess Margaret Cancer Centre)(View Video) Traditional vs Laparoscopic vs Robotic-Assisted: which type of surgery is best for you? 2011 July 27 Dr. Vasundara Venkateswaran – (Sunnybrook Health Sciences Centre)(View Video) Diet, Nutrition and Lifestyle in relation to prostate cancer. How to get there View Larger Map Please bring some non-perishable food for the North York Harvest Food Bank! Thank you.